Planning a new product launch at a trade show can be a difficult task for marketers. It involves a sales strategy as well as a plan for how to market the product at an event. This will involve many things, including how to introduce a new product, how to make your product stand out, what event will you launch at, what you need for a booth display, what presentation materials are required, what staff requirements you have, and so on. 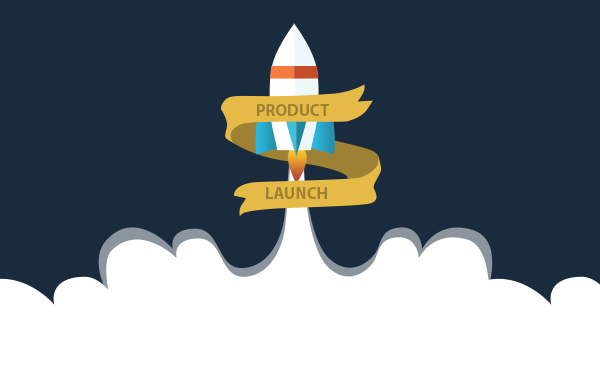 Launching a product well is a difficult task that marketers face, but with these key six tips below, it is possible to launch your product successfully. Where you launch is strategic of course, keeping in mind your goals and target market. Find an event that coincides with the timing of your launch plan – and has the target market that is your sweet spot. Securing space at an event should be accomplished close to a year out. This gives you time to choose the best booth space, create your booth display, and work on the details for the event well in advance to avoid late fees. If you do it right, showcasing your new products to your target audience will result in excitement, awareness, leads and ultimately customers in the sales pipeline. Creating a customized trade show booth to support your product launch is vital to its success. Before you make a decision on what you will need, reviewing Exhibitor Resources will help in evaluating the benefits of different booth scenarios. For example, if you already have a booth display but it doesn’t meet your new product launch needs, renting a customized booth may be an excellent option. Once you determine what kind of booth you need, you can start thinking about what you’ll need to best showcase your product with customized display, lighting, technology, visitor engagement areas, etc. Using social media is great for generating some excitement surrounding a new product launch and trade show presence. Connect with show attendees in advance by using the official event hashtags, and tie in your messages to the overall event. Making yourself integral to the event will garner additional attention before, during, and after. Continue to target via social media during the event, sharing your awesome booth and new product demos, test drives, etc. Creating marketing content is a must. This may be an ebook, white paper, data sheet, online brochure, landing page, etc. The Internet remains a key way that people research products and gain information, so create materials that visitors can access, perhaps via a QR code, or well-thought out landing page. There will be opportunities after the event, of course, to send emails to visitors giving them an opportunity to download your content assets. Regardless of the type of collateral or web messages, it should ultimately convey what the product is and how it is likely to make life better, easier, etc. One of the key questions we always get from customers is how to best display products at a tradeshow. Challenges with How to Display Products at a Tradeshow exist for products of any size, and it even becomes more important at a new product launch. With a new product launch, give visitors a way to experience your product with the five senses, and think outside the box for creative ways to showcase your product and get people talking about you. Will you have samples, test drives, live product demos, interesting product displays or other sales strategies to inform visitors about your product? To successfully launch a product, you will need to combine engagement and entertainment as you inform visitors about what’s new. You want them to walk away knowing exactly what you are doing at the trade show and how your product can help them. Technology offers a great way to tie in product and increase engagement –and visitors are drawn into the booth space. Consider incorporating some newer technologies like 3D, Virtual Reality or Augmented Reality to create an engaging experience. Creating a Memorable Trade Show Experience is not hard if you plan correctly. While planning for your launch, don’t forget the impact staffing will make. Do you need technical people, sales people, maybe you need to hire some professional trade show staff to beef up staff and lure people into your booth space? Who will be responsible for product displays? Will there be a presentation at your booth – and if so, who is the best person to do that? Will you use passive displays to show your product? If so, you will need to work with an exhibit company to ensure your booth has the necessary components to show off your product. Once you have a plan, communicate with your staff so everything is on board and understands their unique role in the product launch. Undoubtedly, there’s a lot at stake with your product launch. And it’s challenging to do it all, unless you have a huge marketing staff. If you don’t have many resources, and need to focus on sales strategy rather than event logistics, allow a full service exhibit company like exhibiTeam to help. Our clients rely on us to make sure everything is set up and runs smoothly, from initial concept to show opening and beyond. Interested to see how we can help? Contact exhibiTeam today.